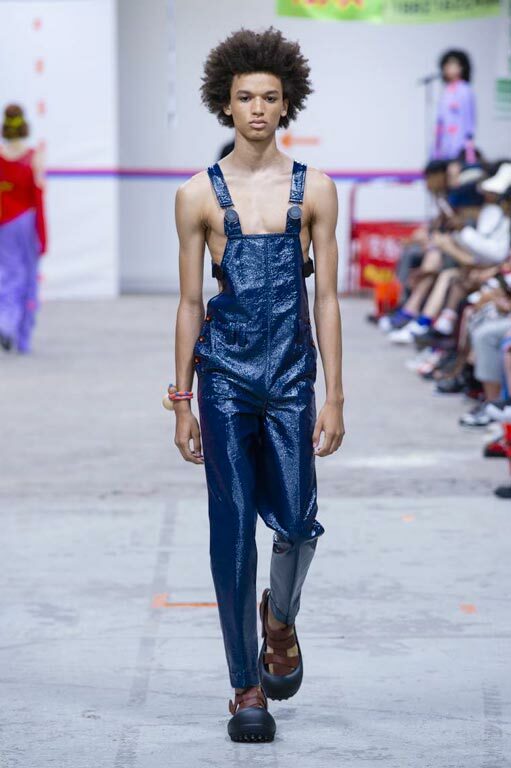 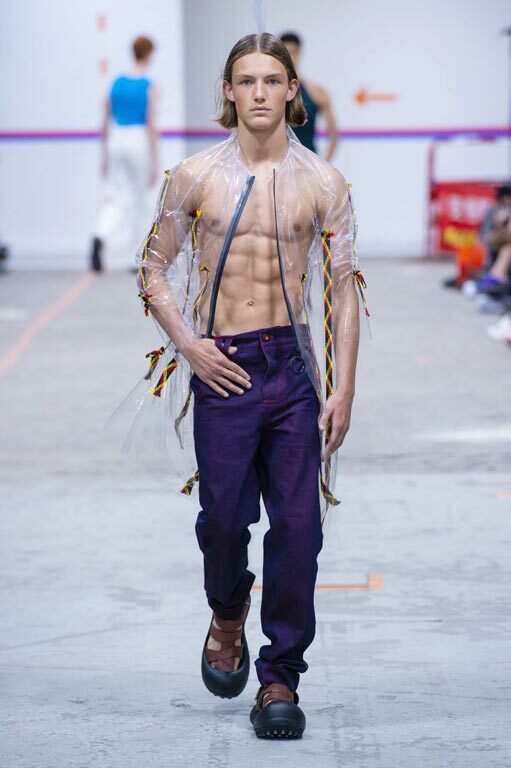 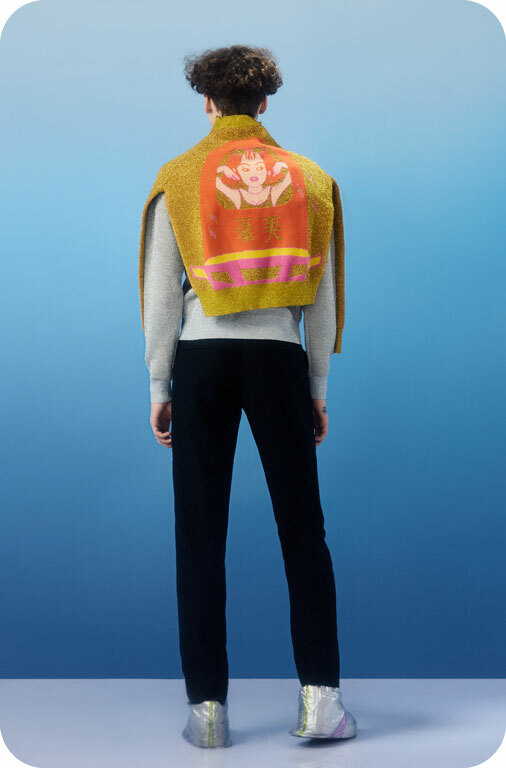 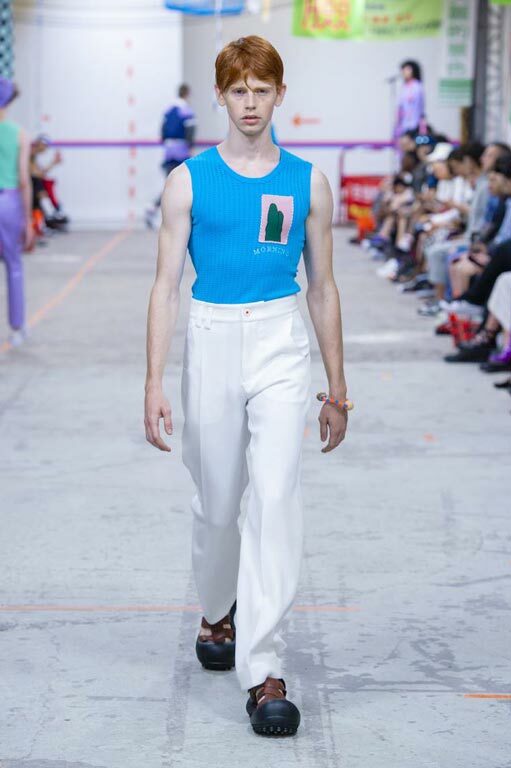 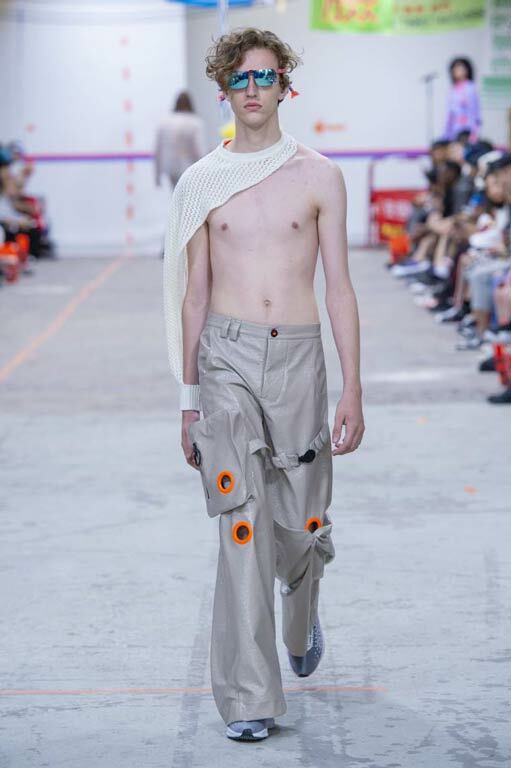 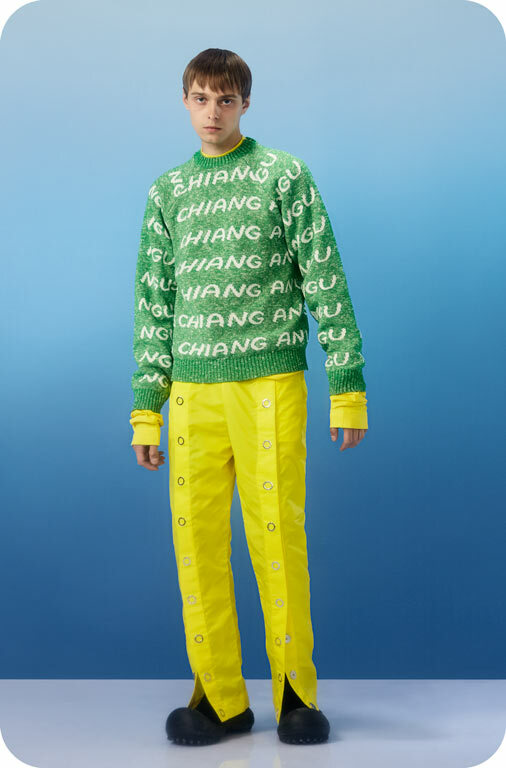 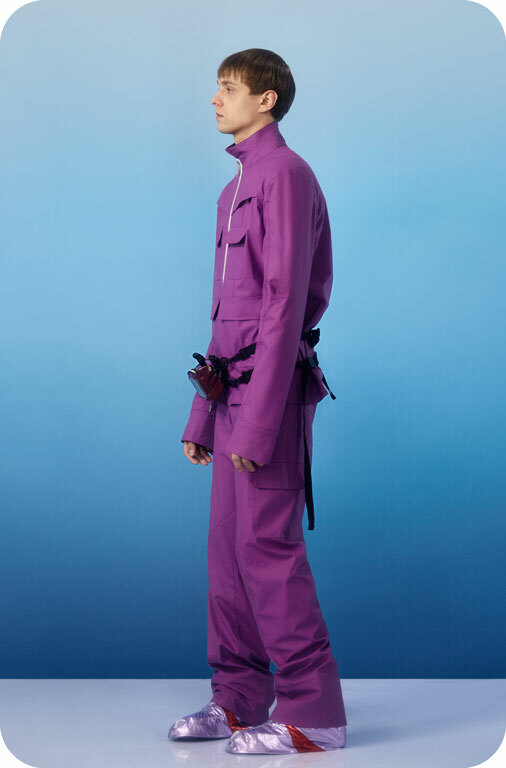 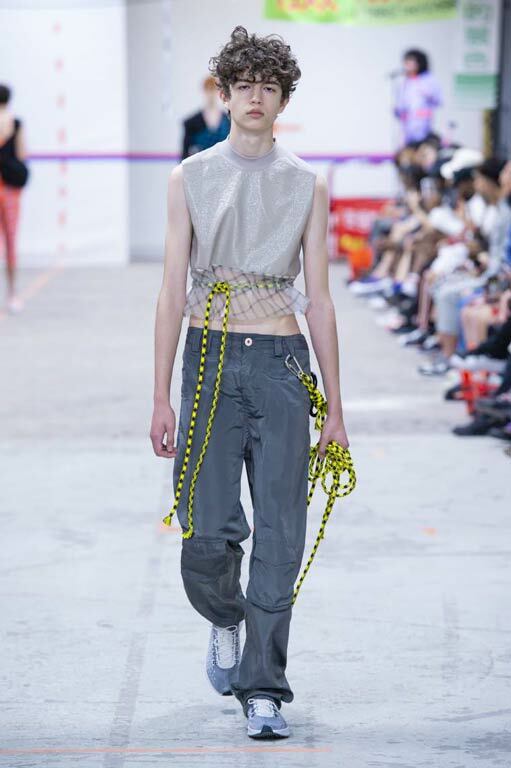 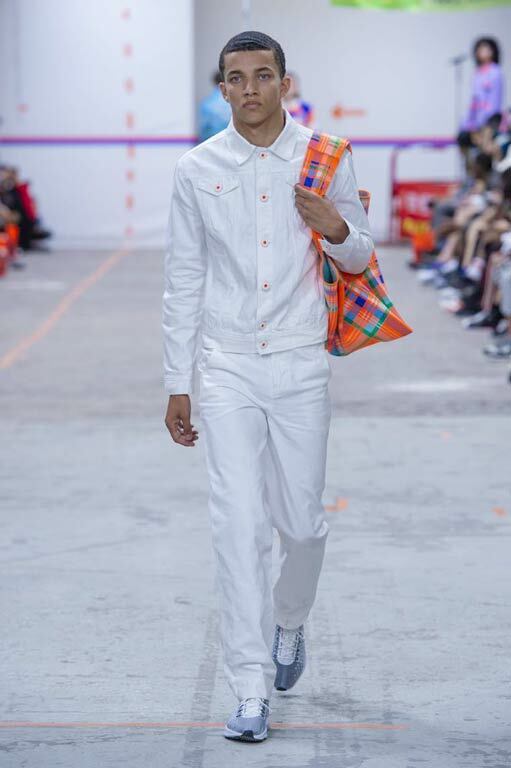 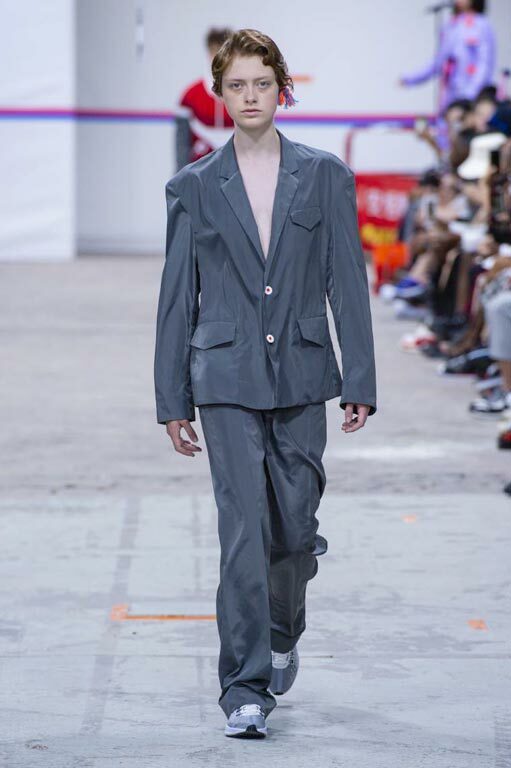 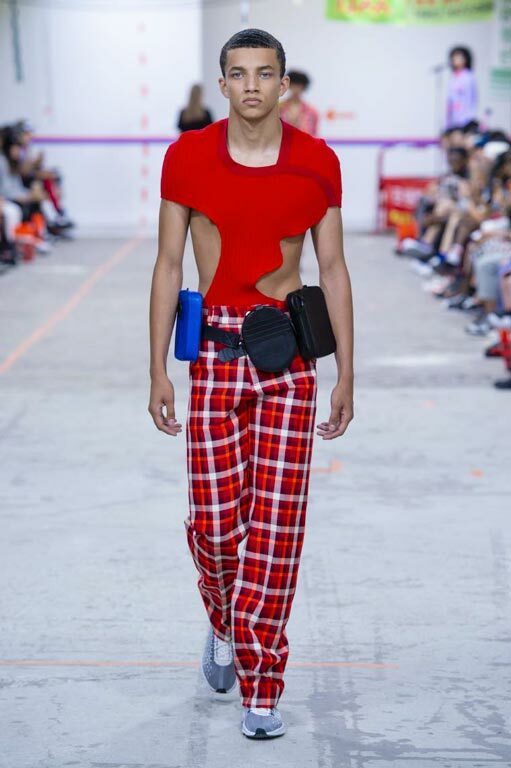 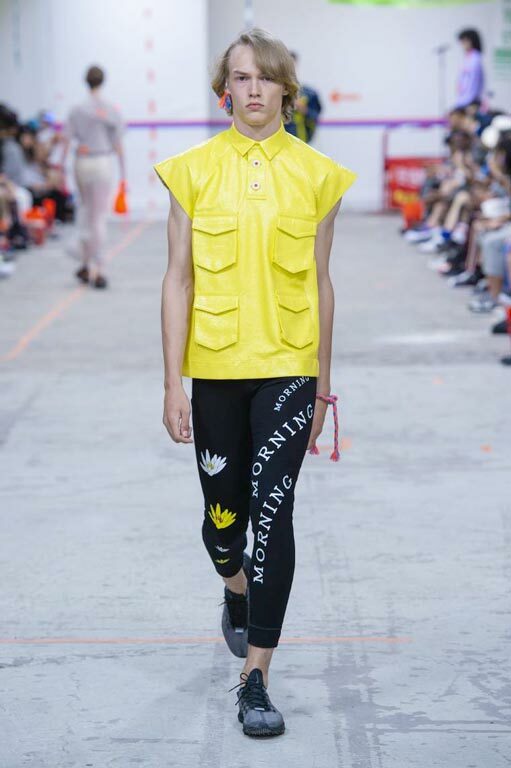 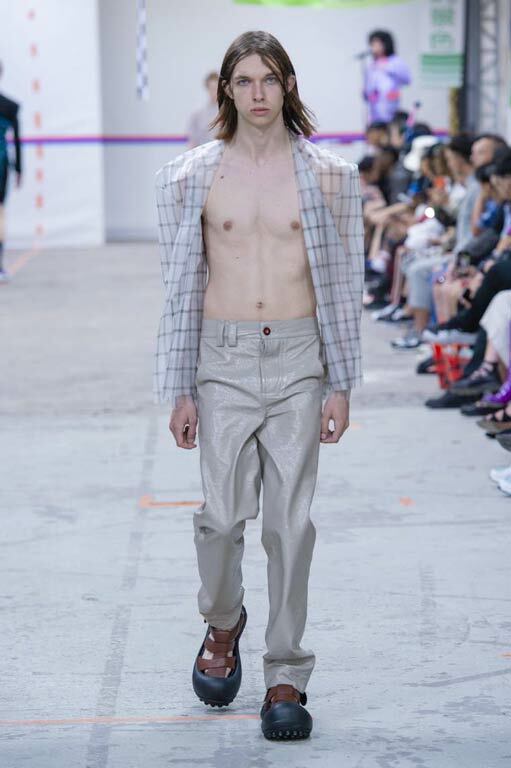 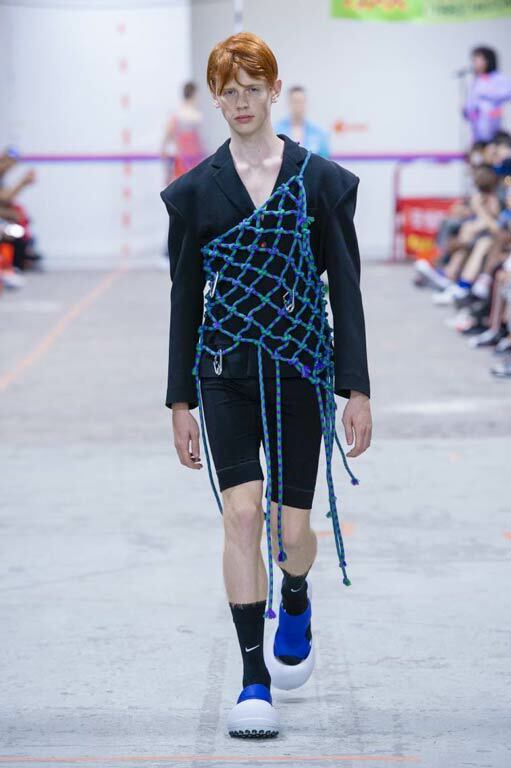 ANGUS CHIANG is a contemporary menswear label established in 2015 that showcases designs inspired by Taiwanese culture. 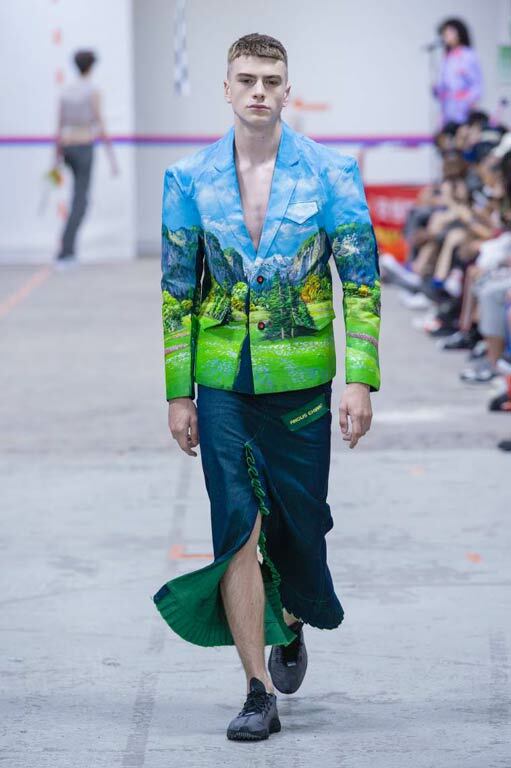 Angus dedicates to create a unique Asian cultural fushion of design by collaging different cultures he has experienced in Taiwan and adding extraordinary sense of aesthetic, humor and joviality to life through his vision. 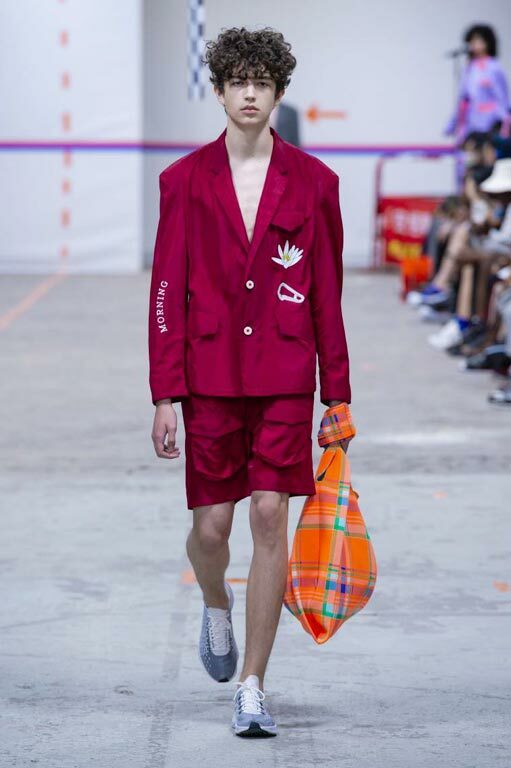 The design of ANGUS CHIANG is always inspired by his life and reading experiences. 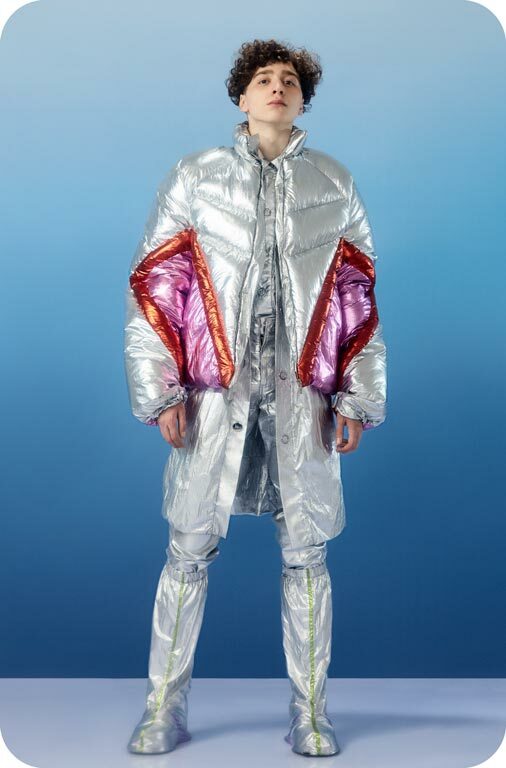 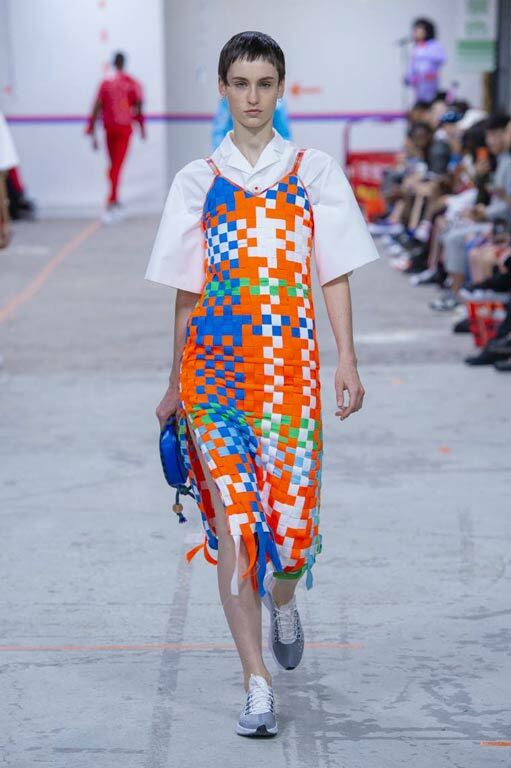 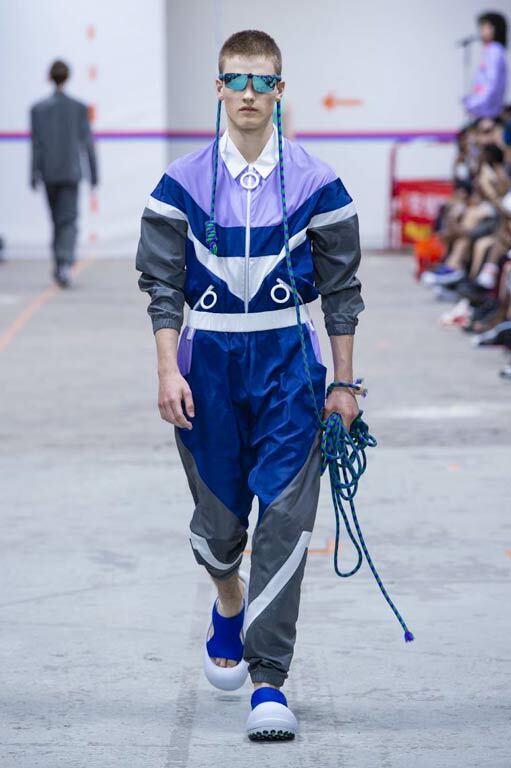 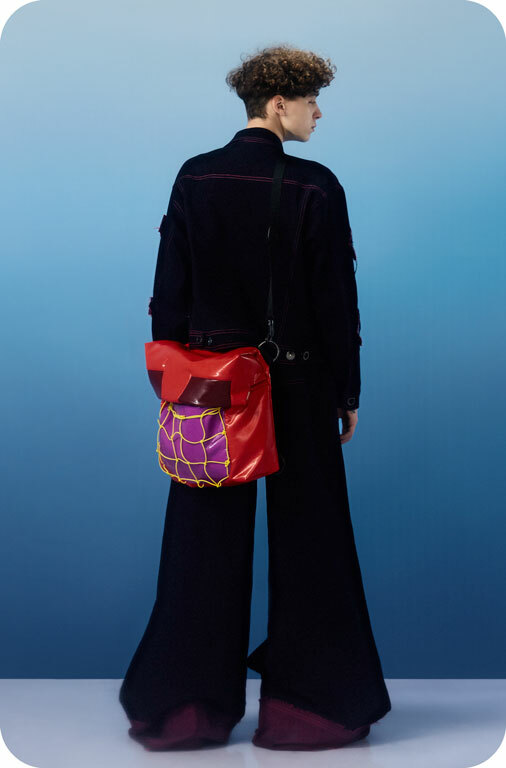 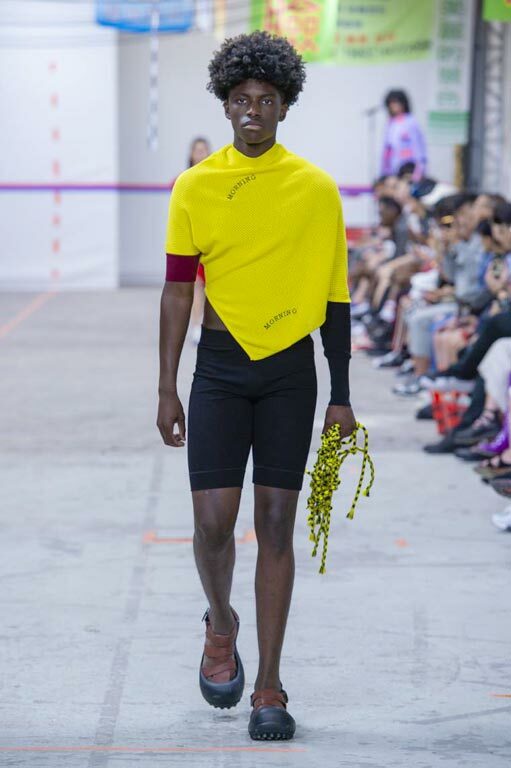 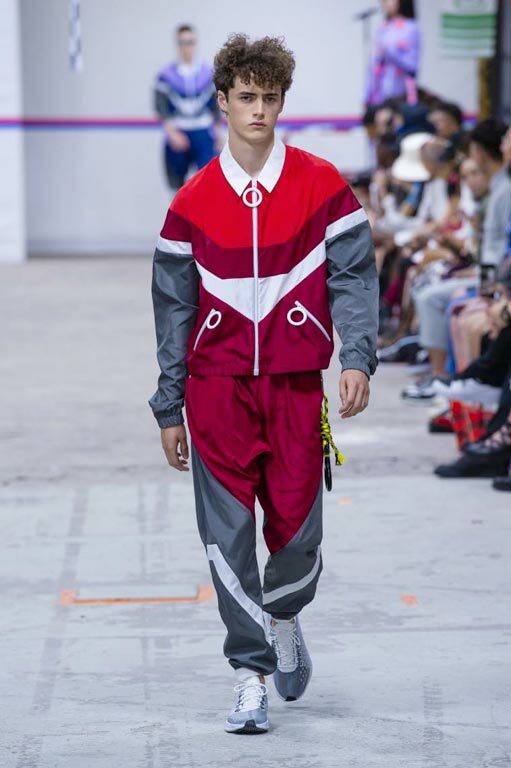 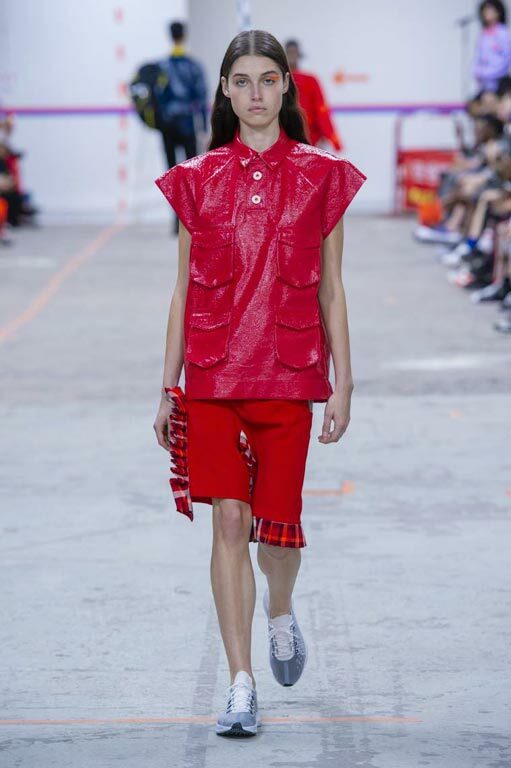 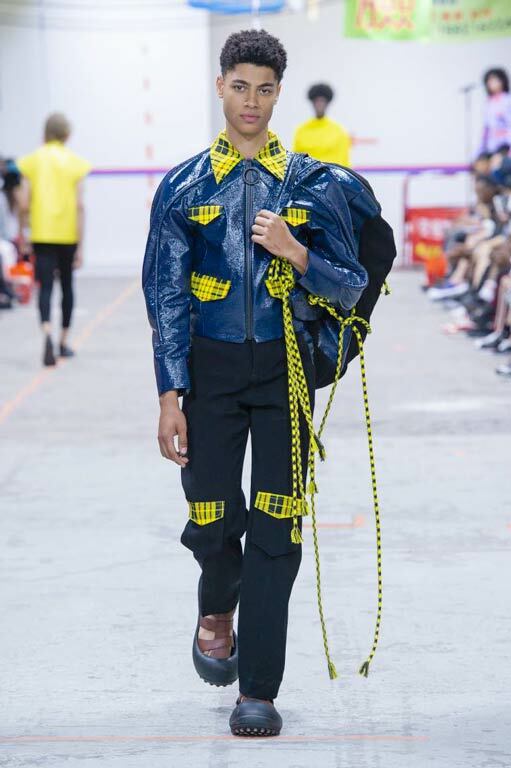 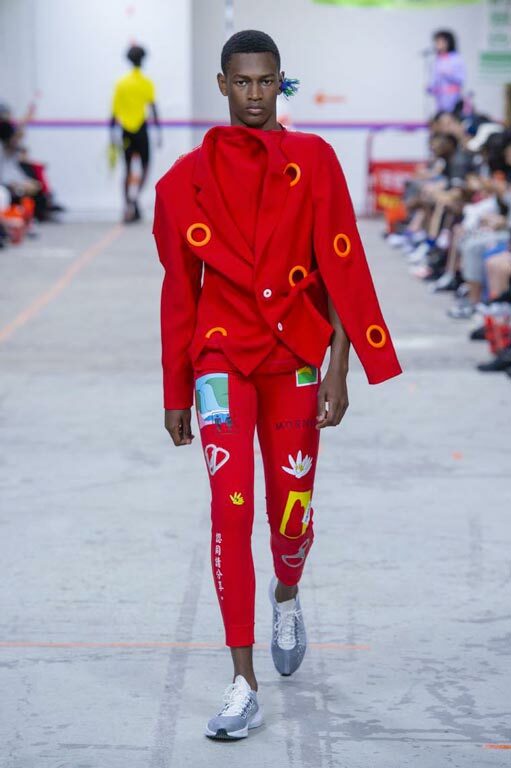 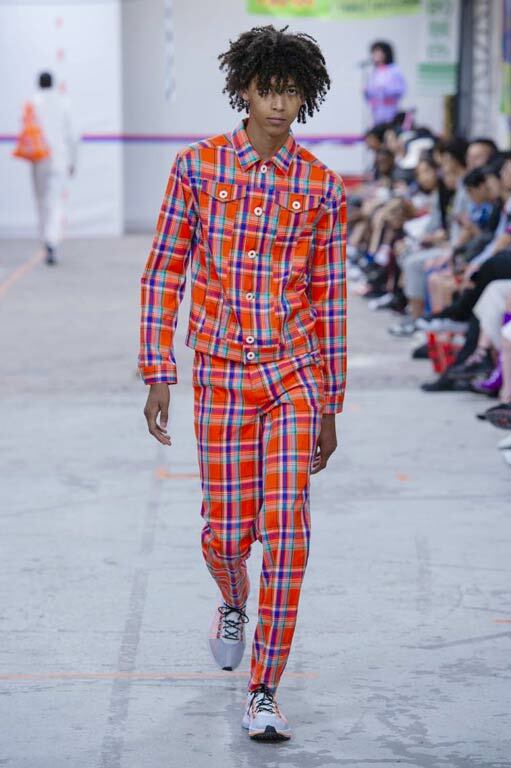 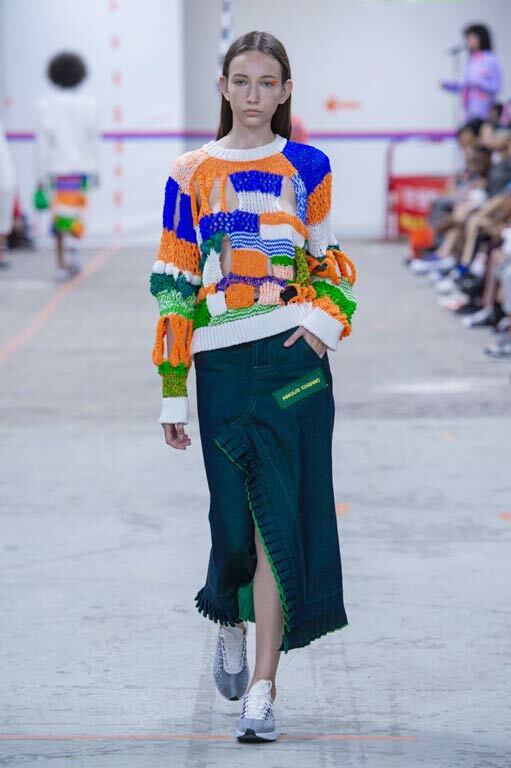 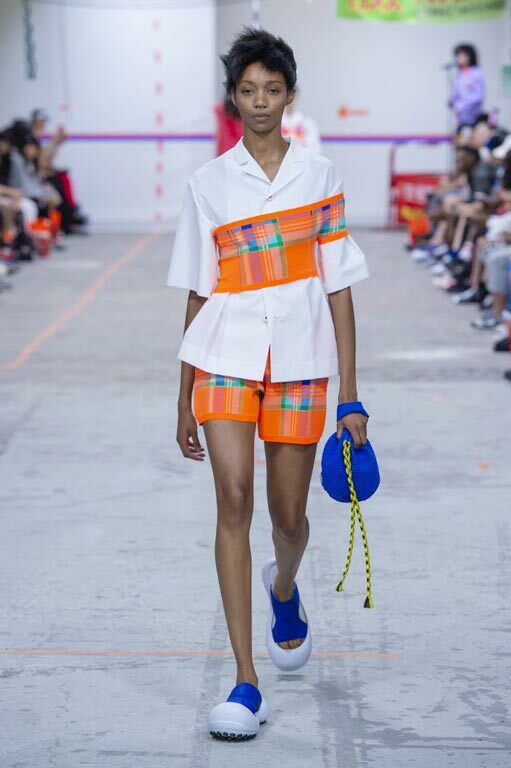 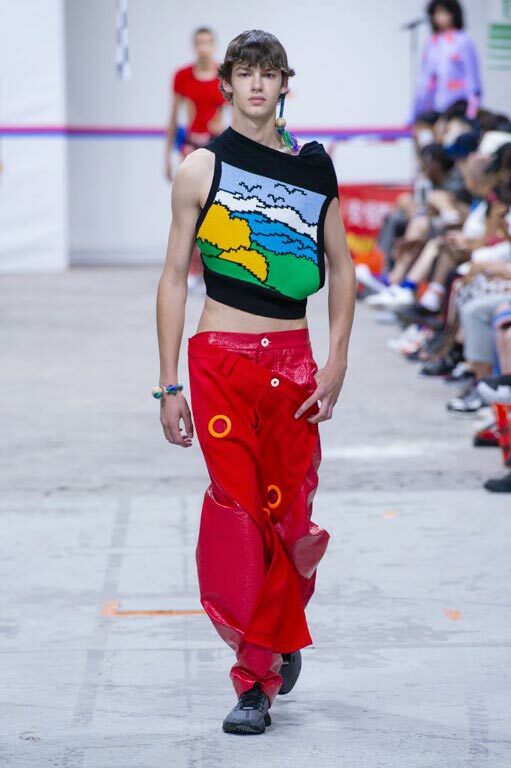 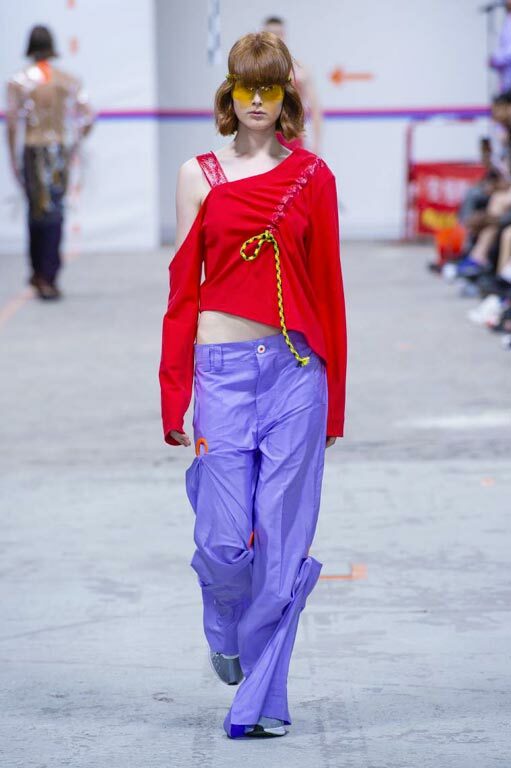 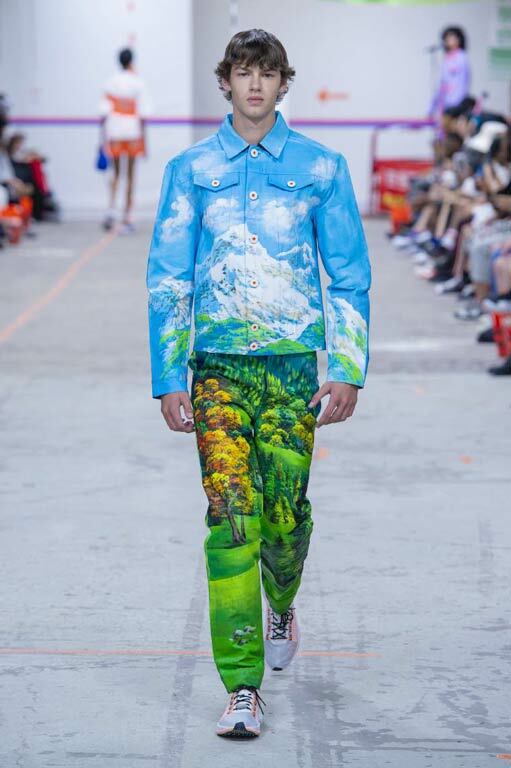 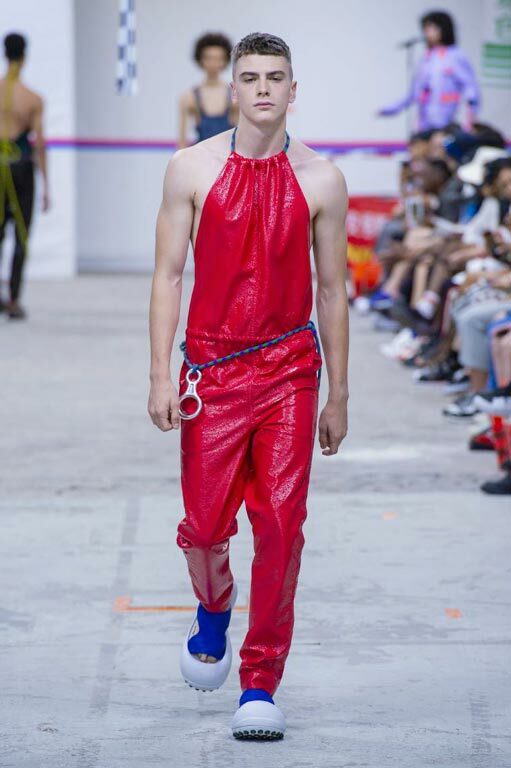 In 2013, his daring and chromatic graduation collection, “Sailing to the Moon”, represented Taiwan in the London Graduate Fashion Week alongside sixteen other designers from the world’s top fashion universities. 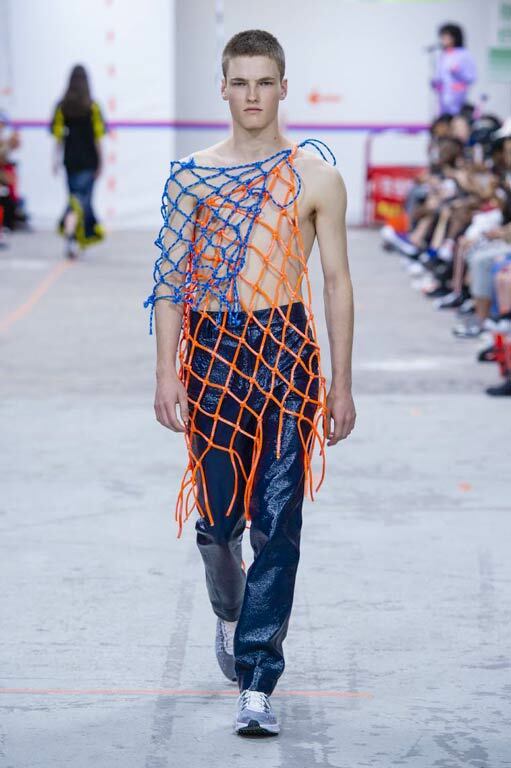 His futuristic color popping pom-pom designs won him first place in the international show award. 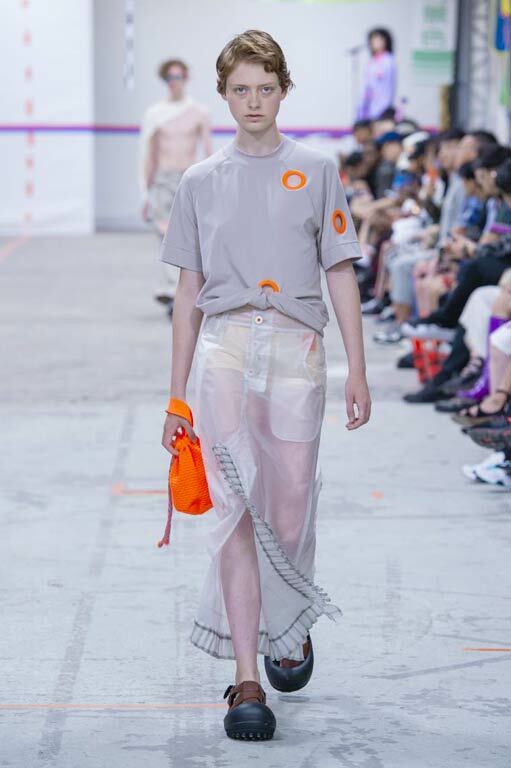 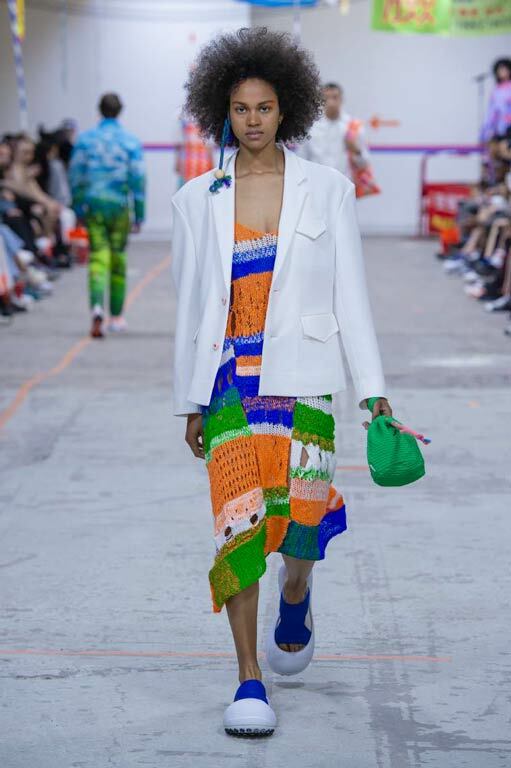 Moreover, his award-winning collection was invited to take part in the Fashion Scout – Graduate Showcase during London Fashion Week that same year. 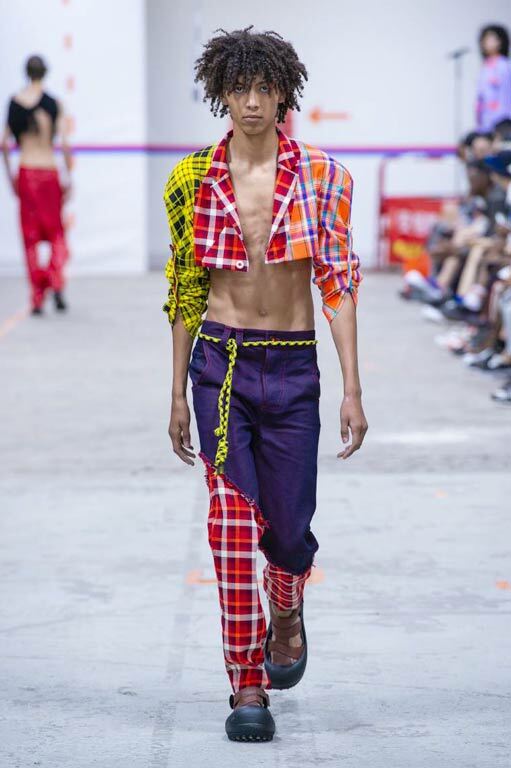 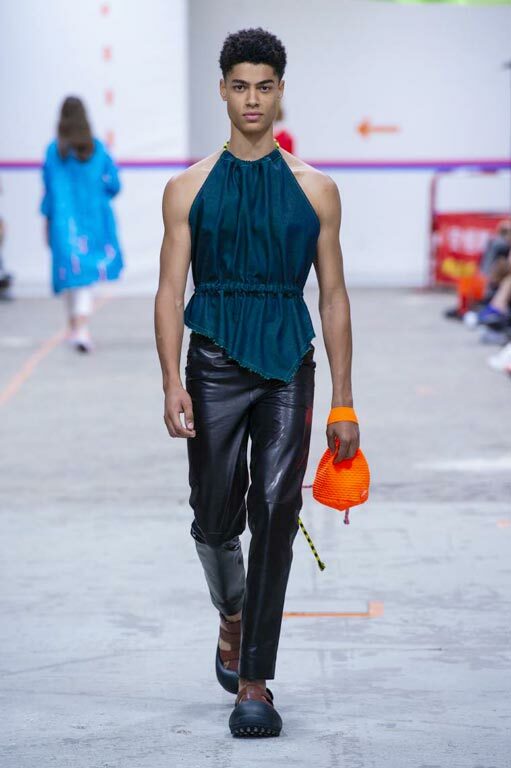 In March and September 2016, Angus Chiang was invited to take part in Vancouver Fashion Week, and launched his 2016AW and 2017SS menswear collections. 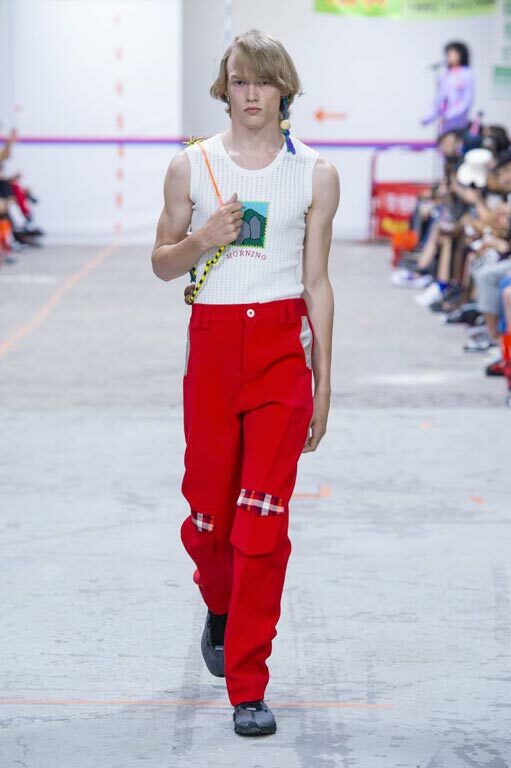 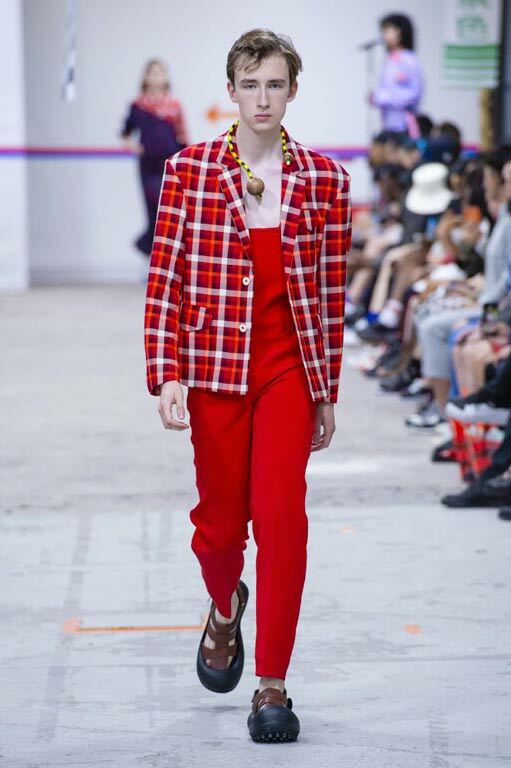 In 2017, Angus was nominated for LVMH Prize and meanwhile he was invited to Paris Fashion Week Men’s to show his 2018SS collections 「She and Their Red Lips」. 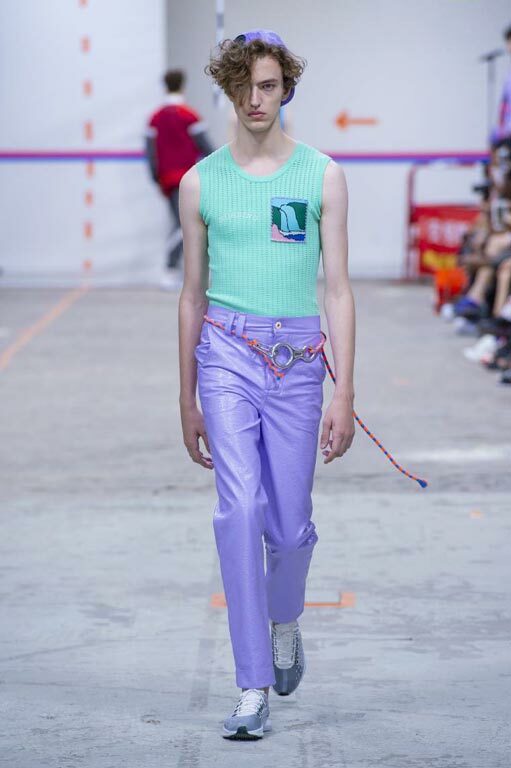 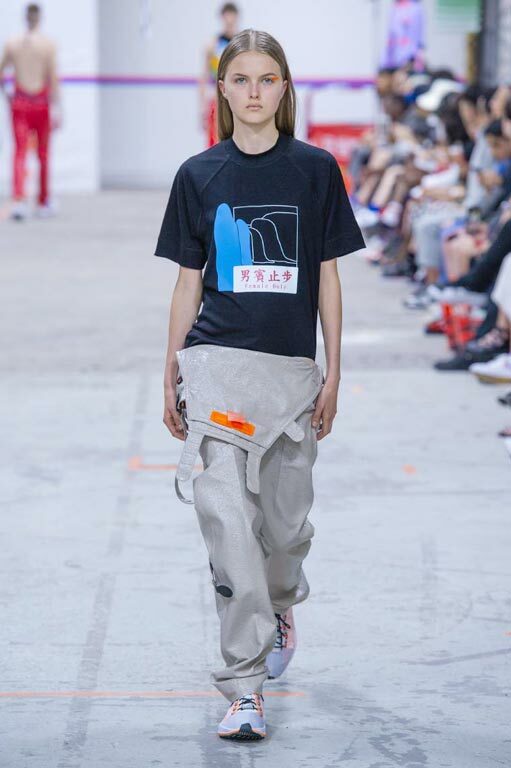 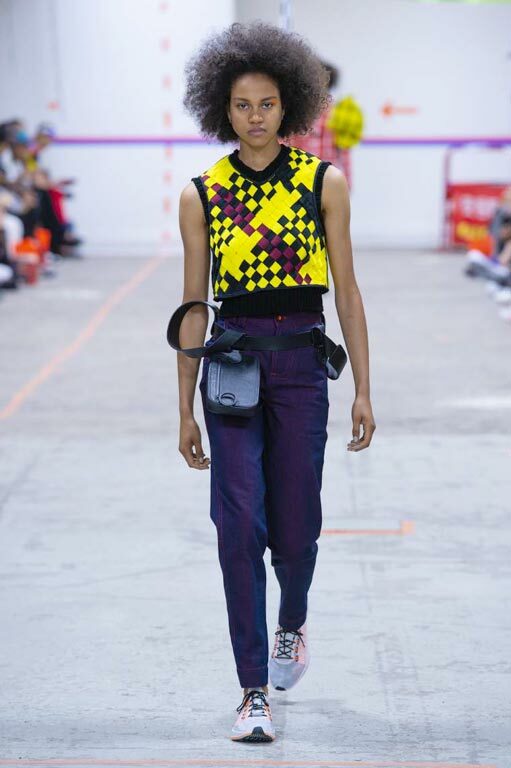 ANGUS CHIANG repositions the brand as a Creative Studio start from 2017, which blends the brand concept- Colour, Humor and Joviality into fashion, art and daily life. 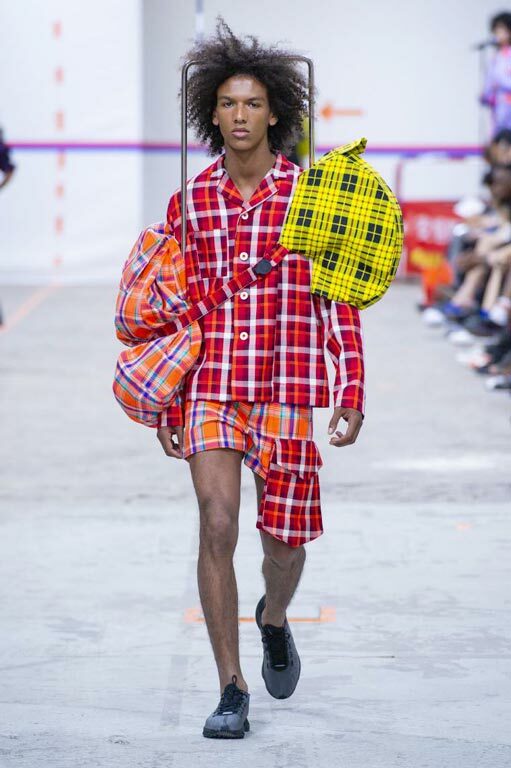 ANGUS believes the creative studio is the same as a park, which belongs to anyone from different cultures or generations. 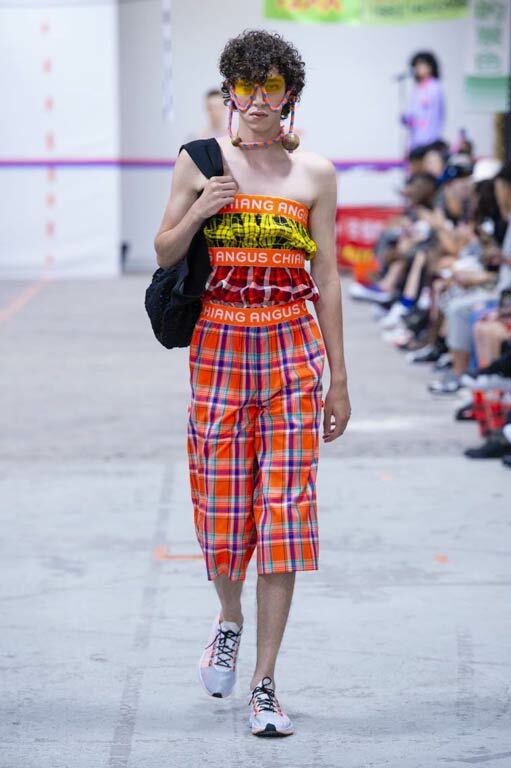 People in the park can create their own dream in accordance with their corporation and brainstorming. 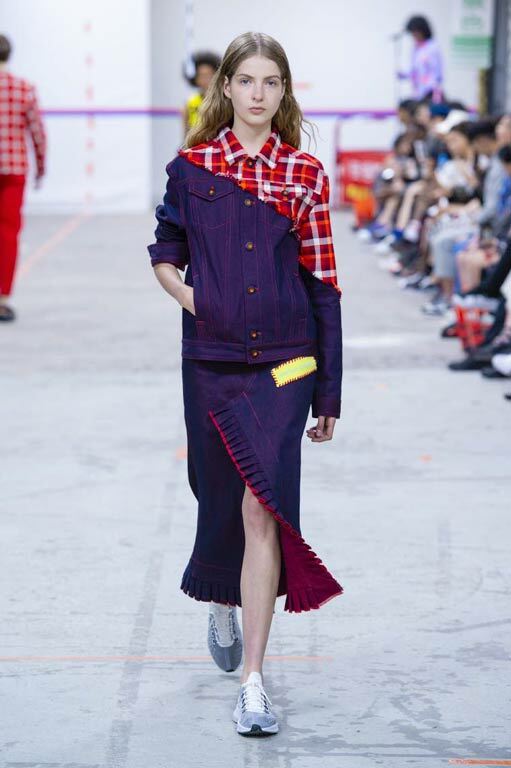 Therefore, based on the brand DNA of Taiwanese culture, ANGUS enhances the diversity of the brand. 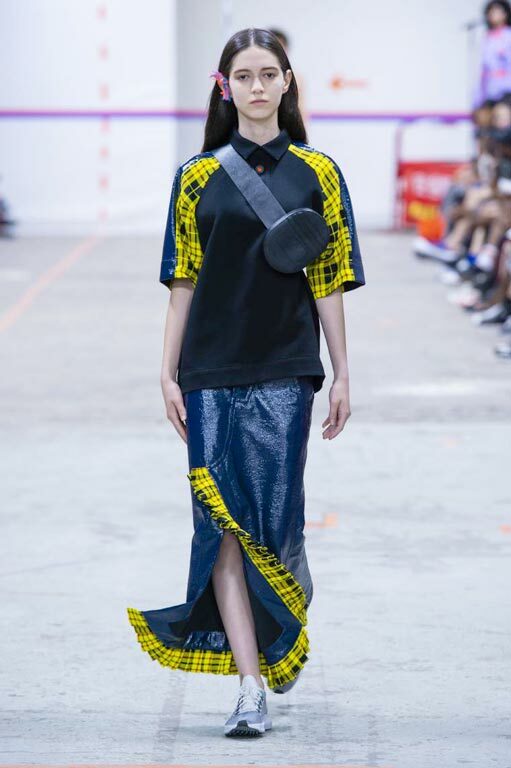 ANGUS CHIANG will dedicate to design not only clothing continuously but also brand limited collection, including home decorations, furniture, and office supplies, even music. 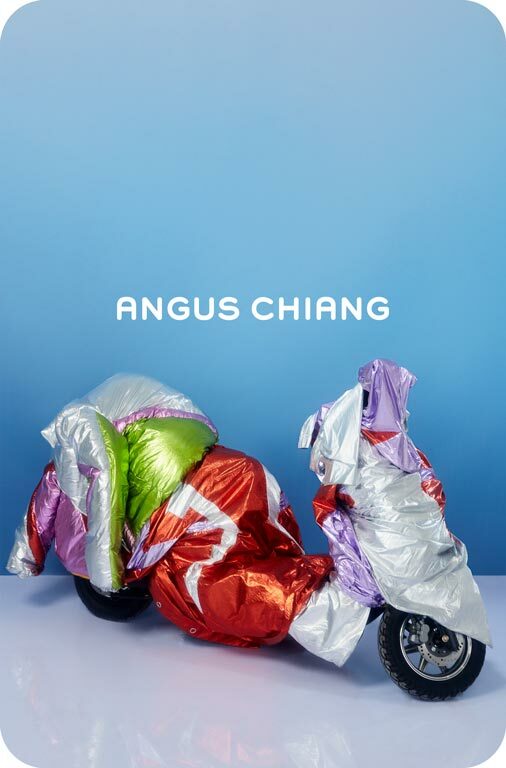 ANGUS CHIANG is on his way to create a new era in design and art with other rising brands.